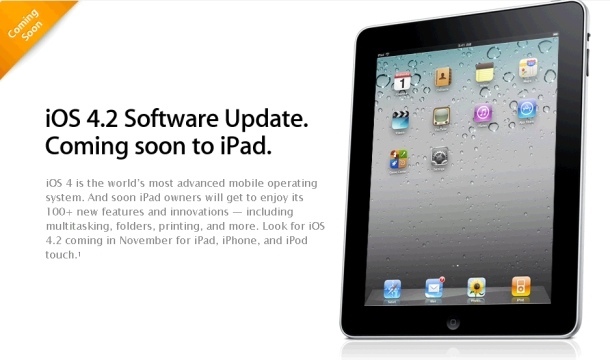 Sources close to Apple report that iOS 4.2 for iPhone and iPad has been delayed until November 24th. A source that works closely with Apple said that the company had shelved its original plan to release the software update today, and had instead pushed back the launch until later this month. Although this isn’t technically a delay (Apple officially announced that iOS 4.2 will be released sometime in November), it was thought that Apple might have been planning to release iOS 4.2 today. iTunes 10.1 got released earlier today, they usually do this at least a few days in advance of any update.